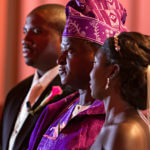 Oluwatitoyin ( Tito) – and Shomari had a two day celebration beginning with a traditional Nigerian engagement ceremony, in which the groom and his family formally request the bride’s hand in marriage with a dowry in the presence of friends and family. 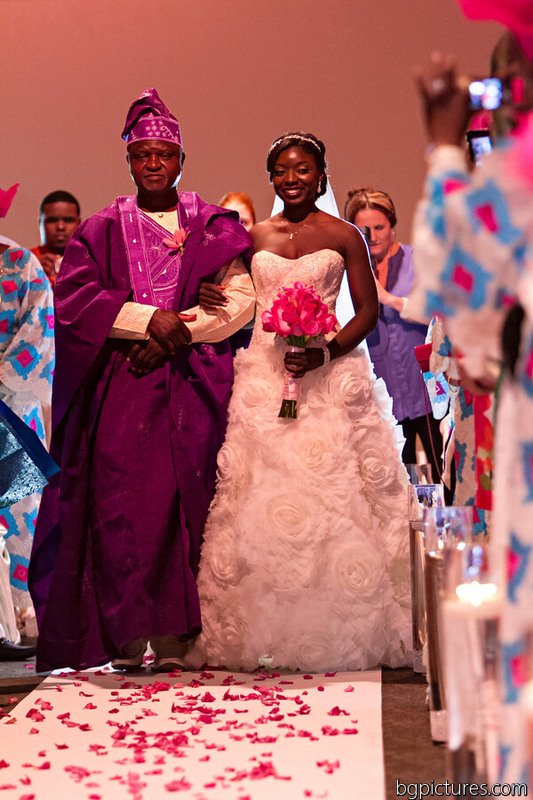 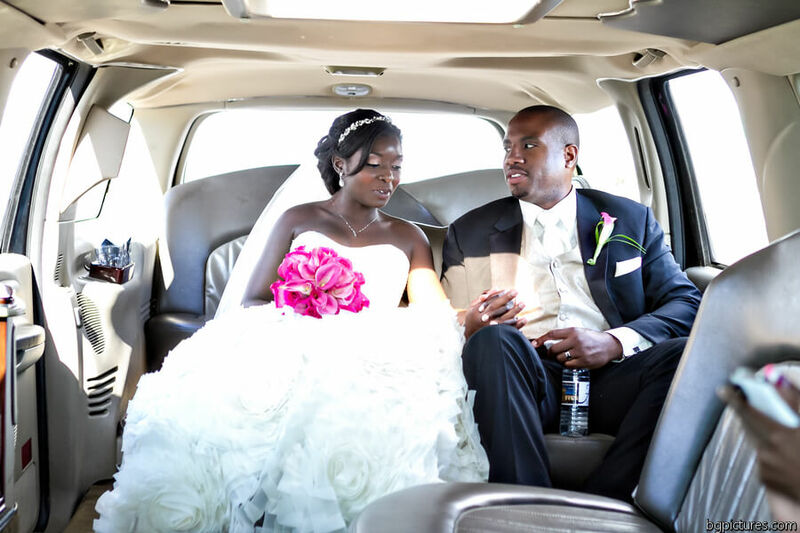 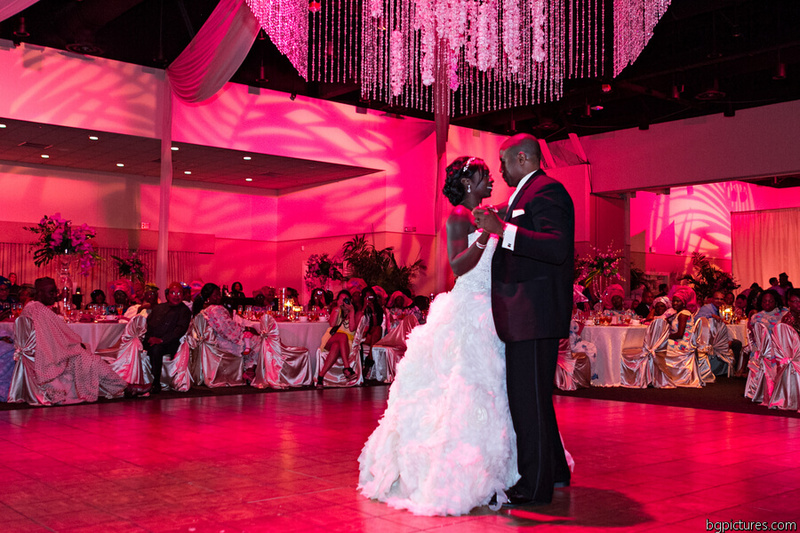 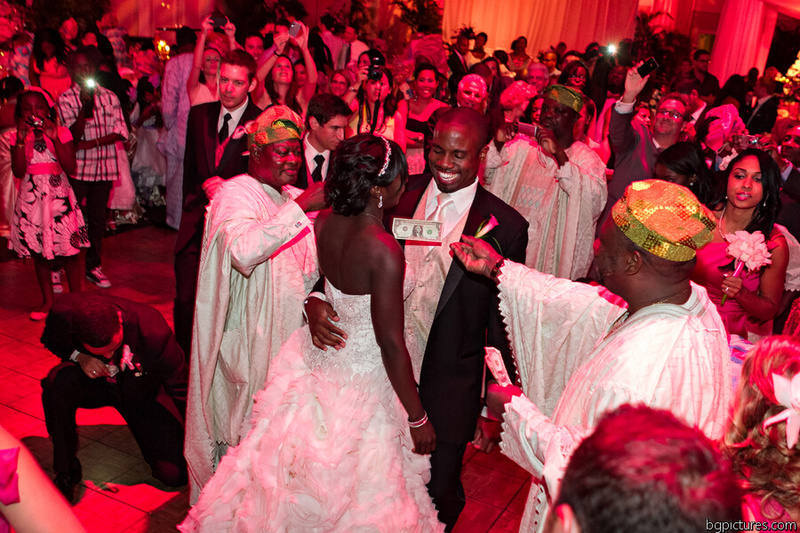 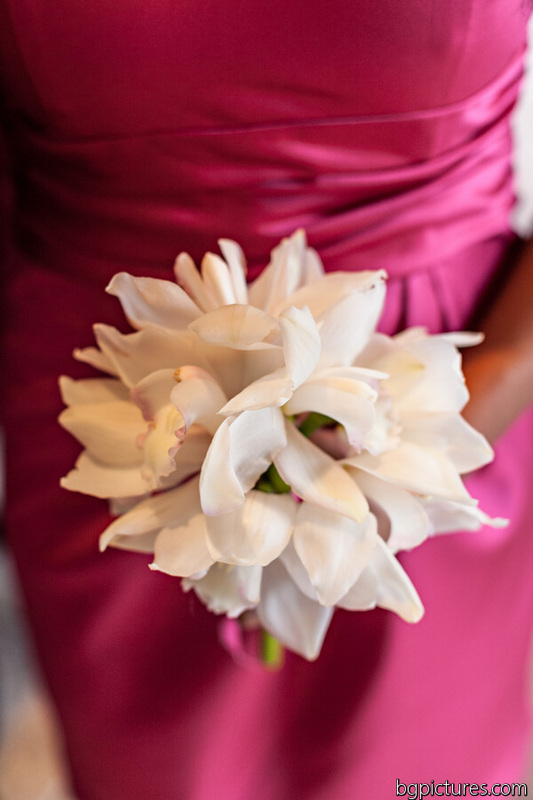 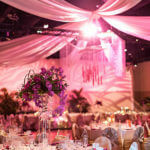 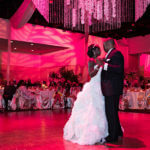 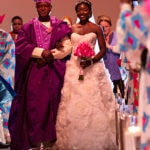 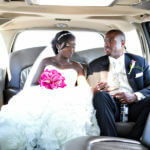 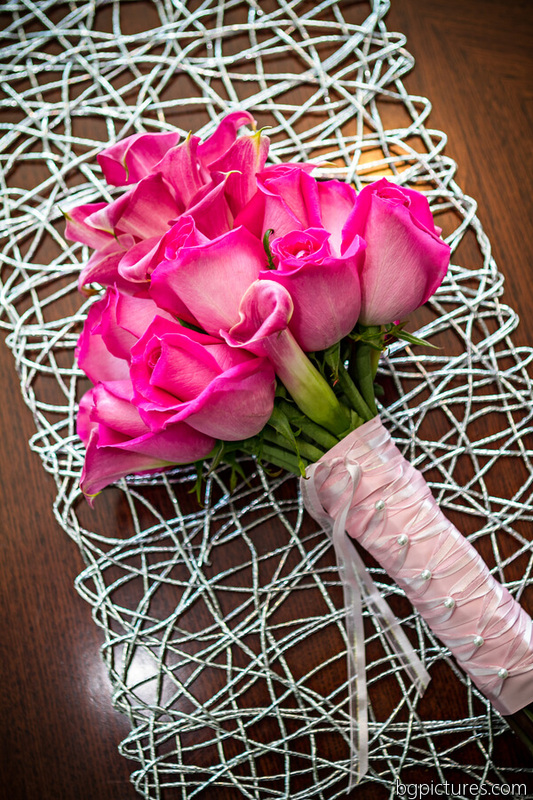 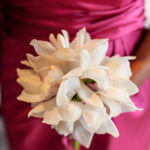 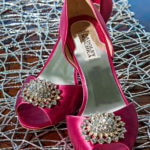 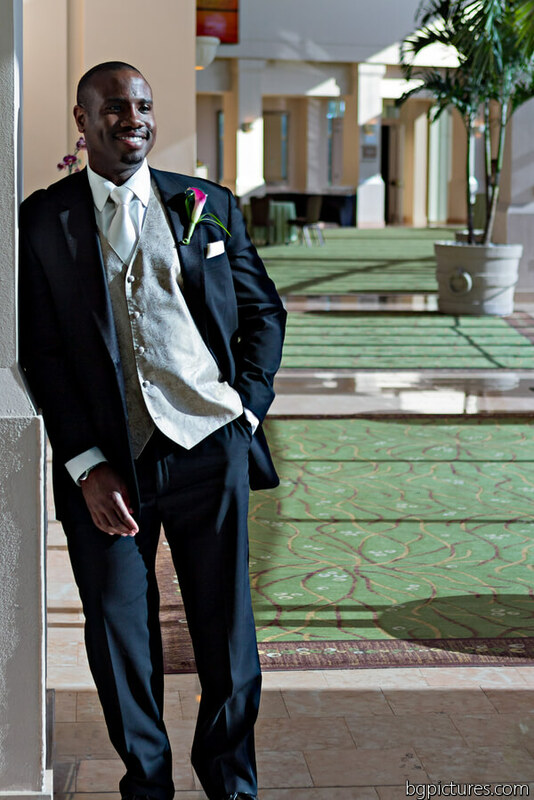 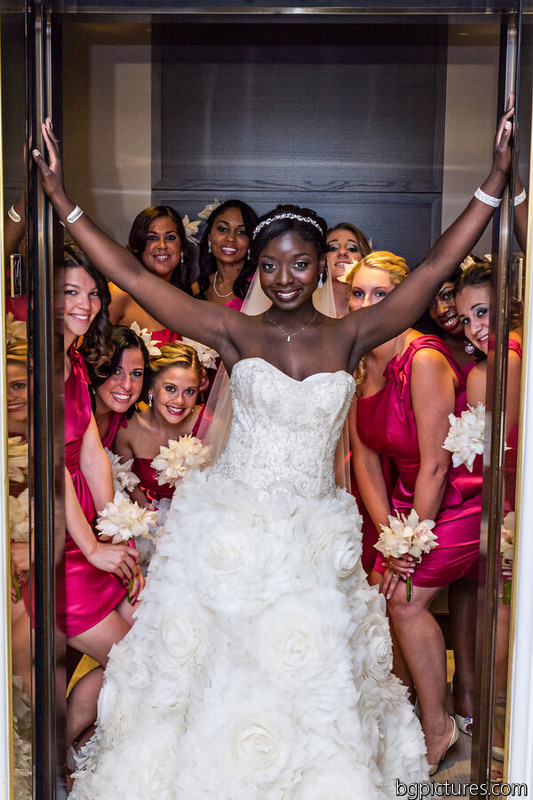 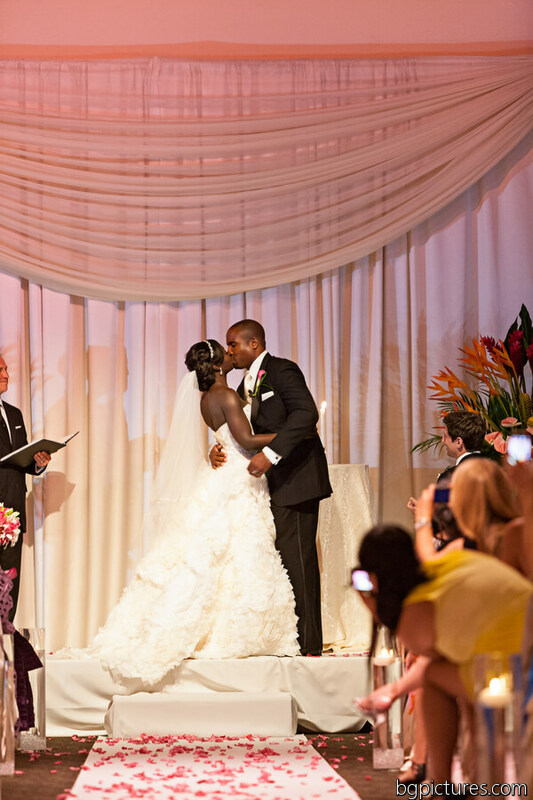 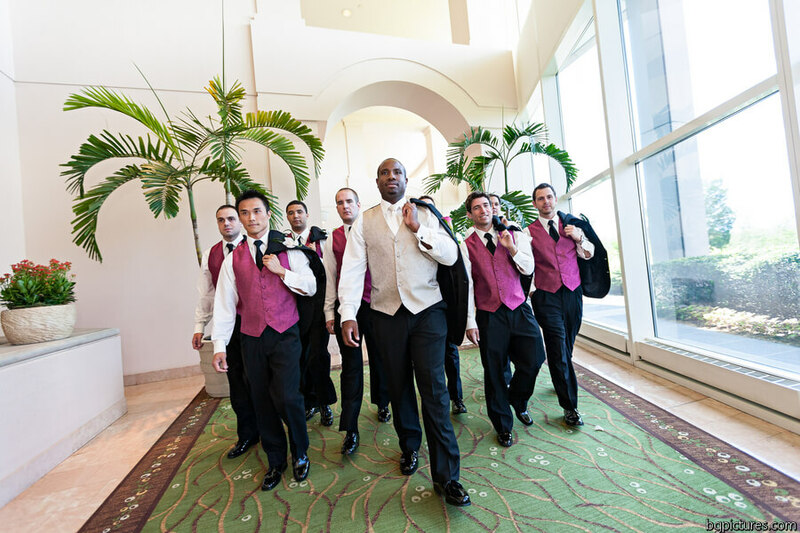 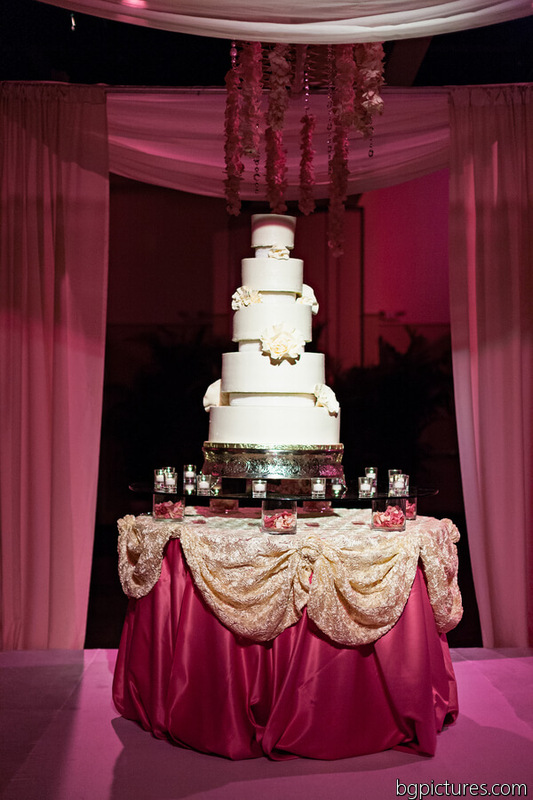 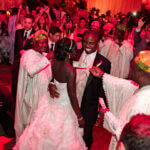 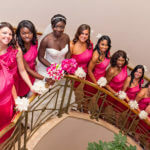 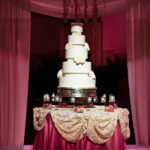 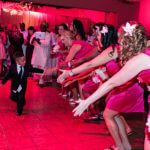 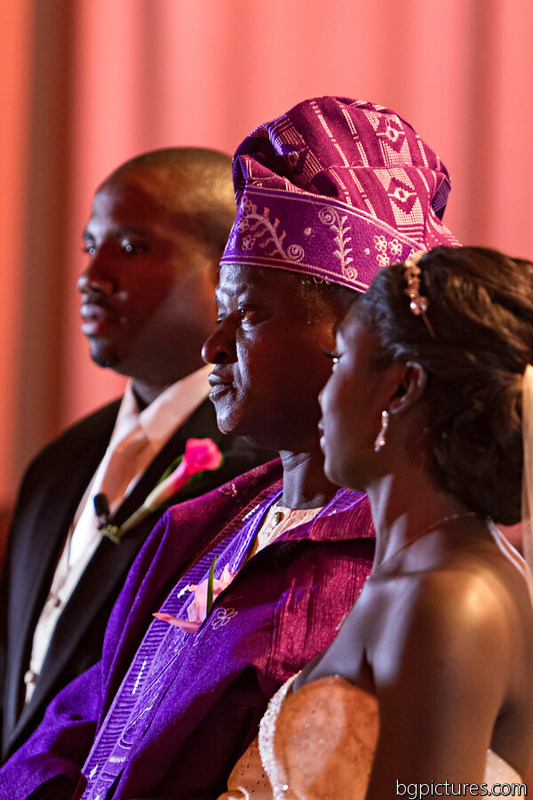 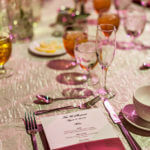 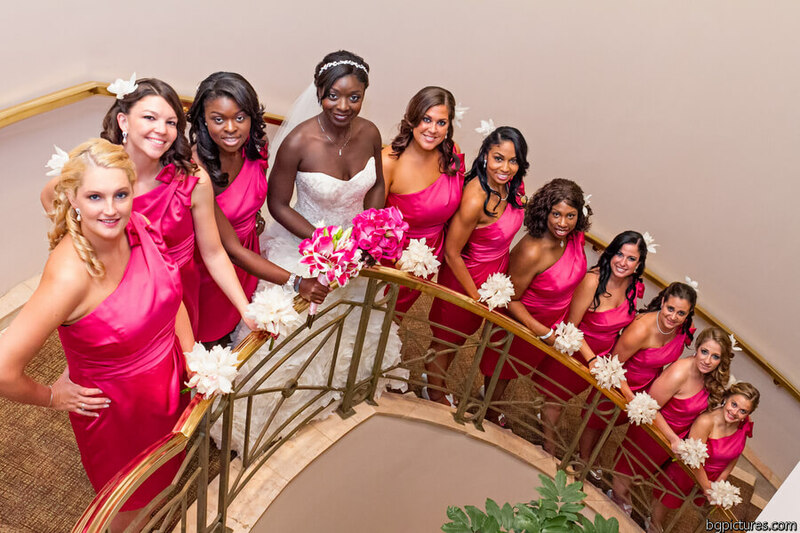 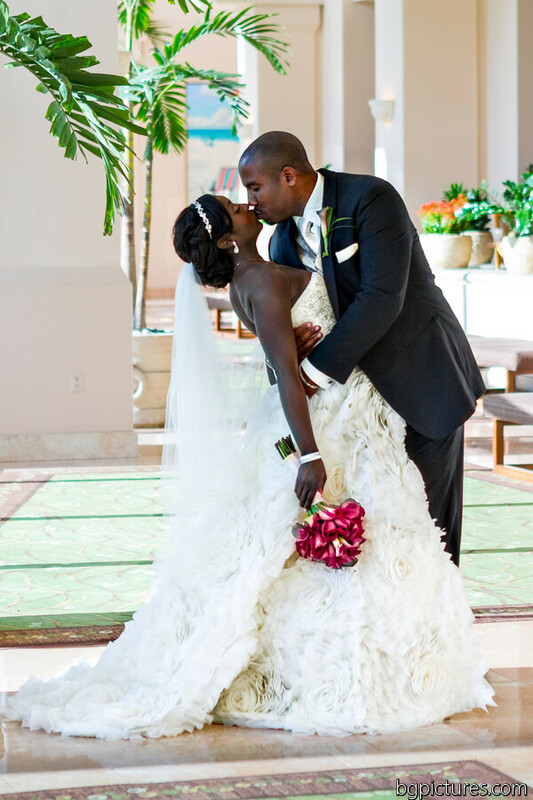 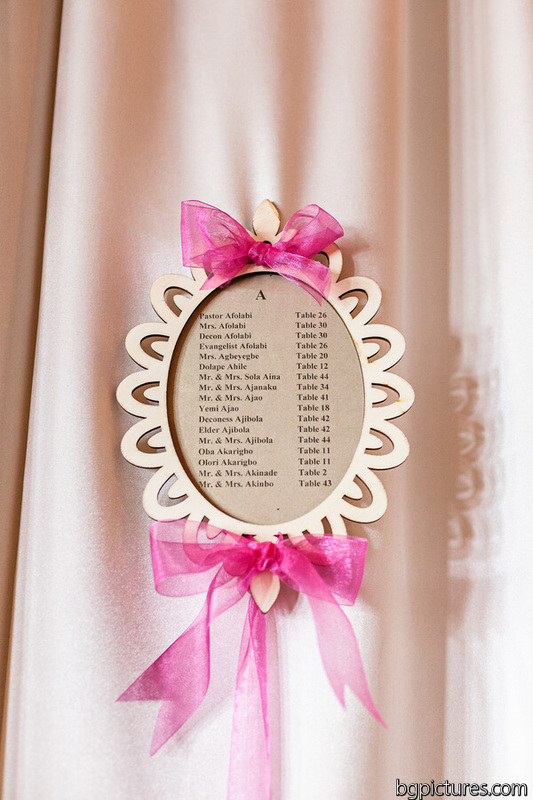 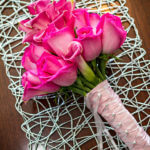 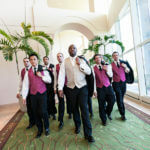 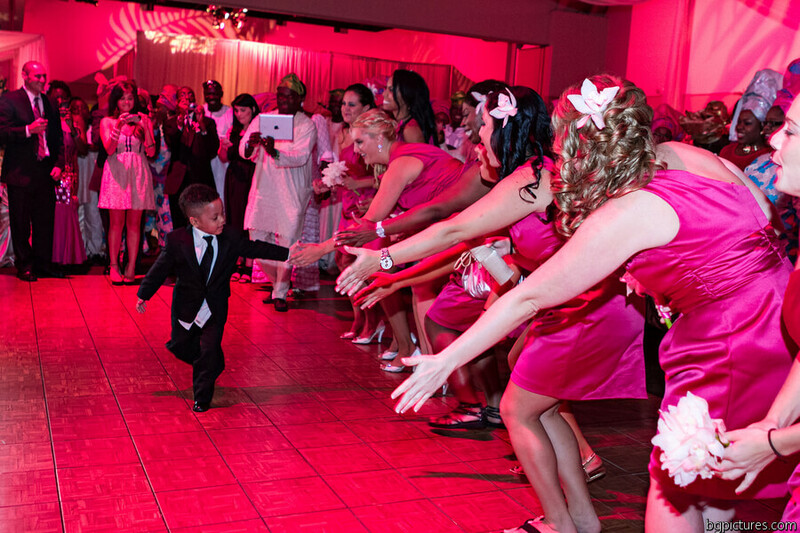 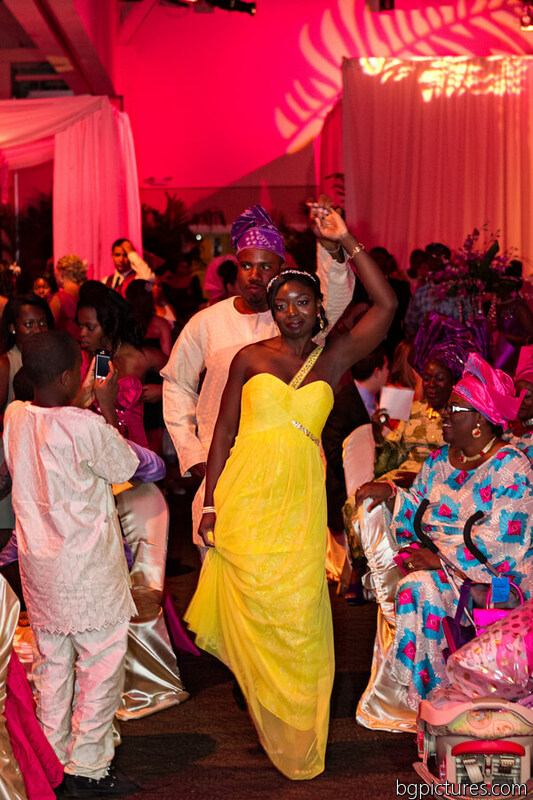 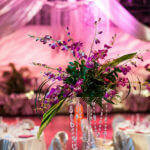 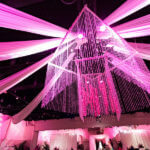 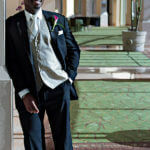 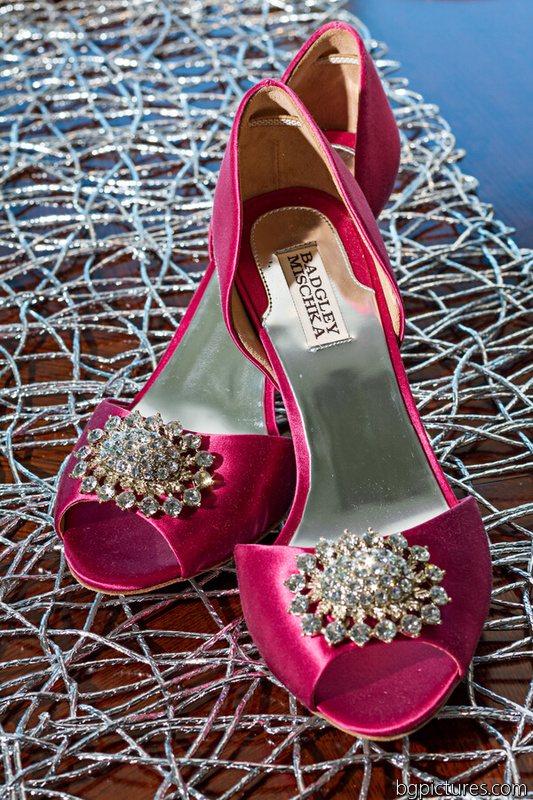 The following day was a mix of a modern and traditional Fuschia and Champagne Nigerian style wedding. 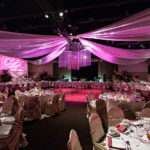 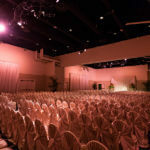 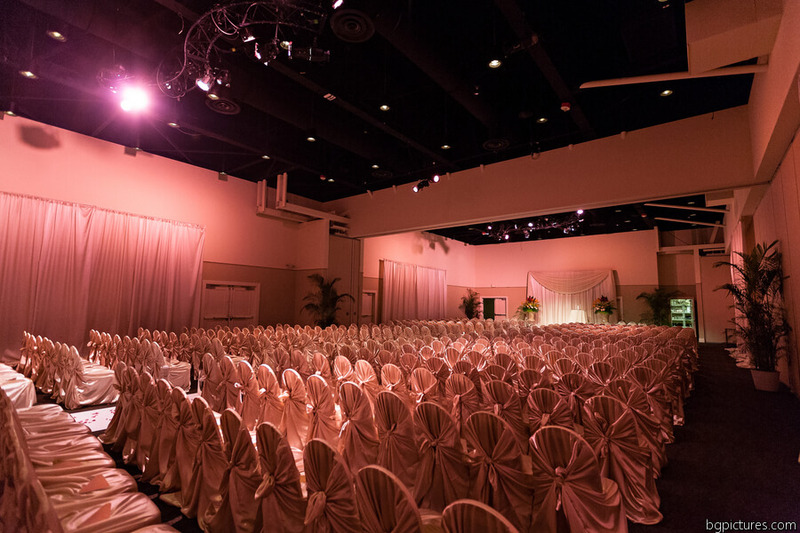 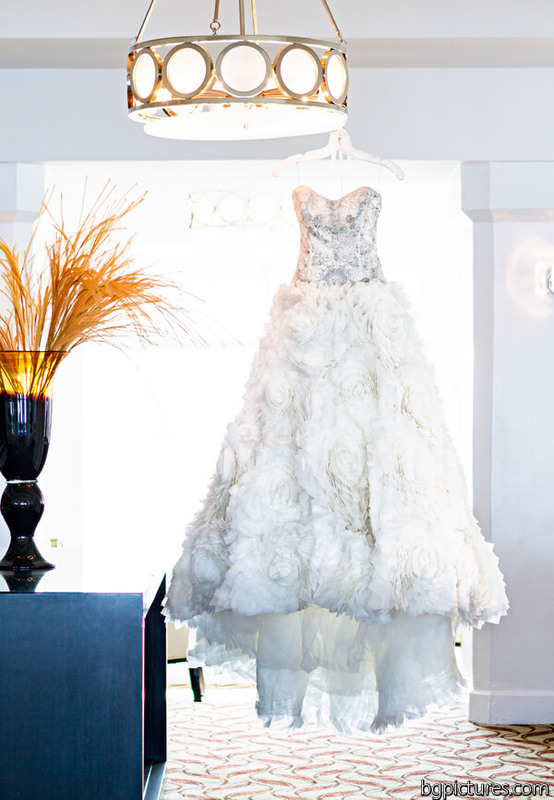 With an extra large guest list of 480 attendees, The pair chose A La Carte Event Pavilion to host the Ceremony and Reception. 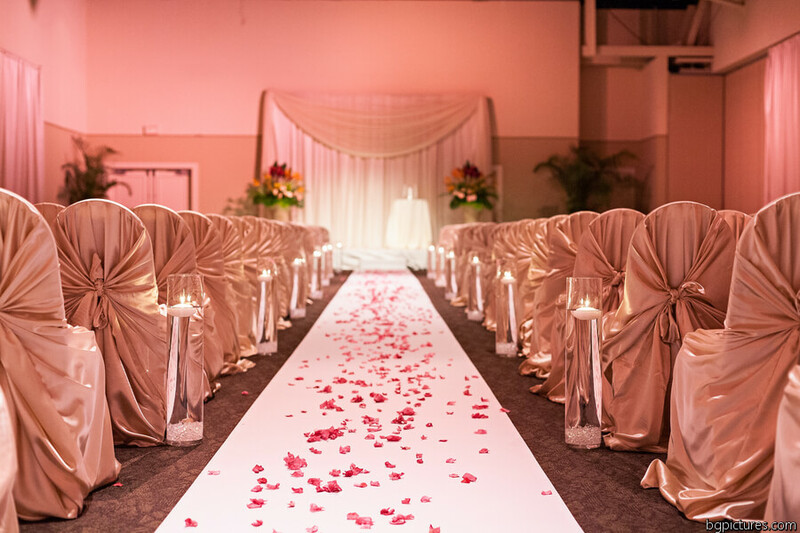 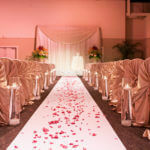 With Champagne satin covered chairs, white aisle runner with fuschia petals flanked with cylinders filled with water , crystals and floating candles Tito and Shomari said I Do.in front of a white draped backdrop. 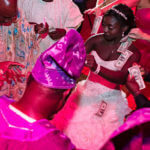 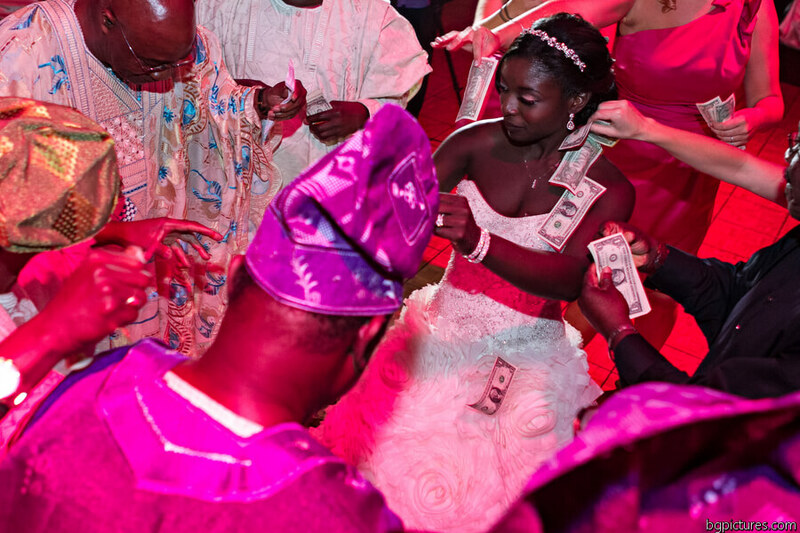 At the end of the Wedding ceremony Tito and Shomari had a traditional Nigerian Thanksgiving ceremony where the guests dance up the aisle and place money at the feet of the Bride & groom.. 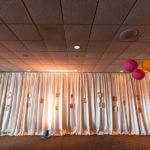 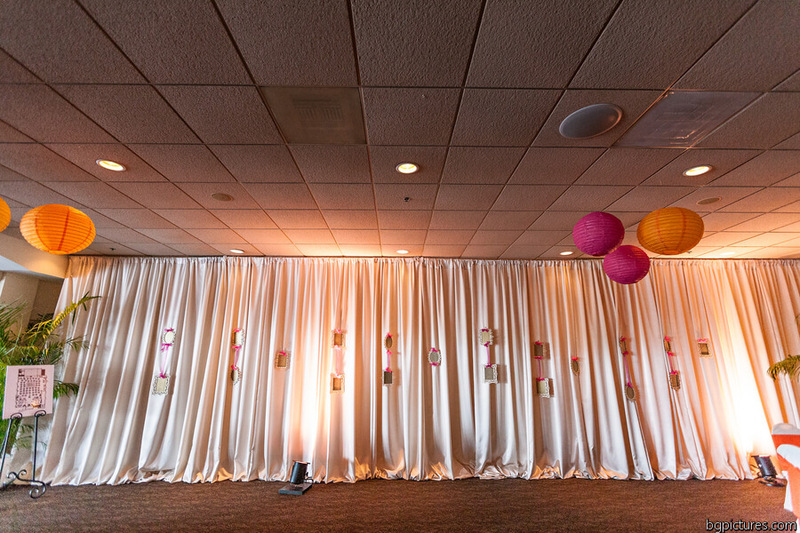 They then donate the money to a charity of their choice.. after the ceremony the guest enjoyed the cocktail hour with a draped wall with floating frames that listed alphabetically what table they were at for the reception. 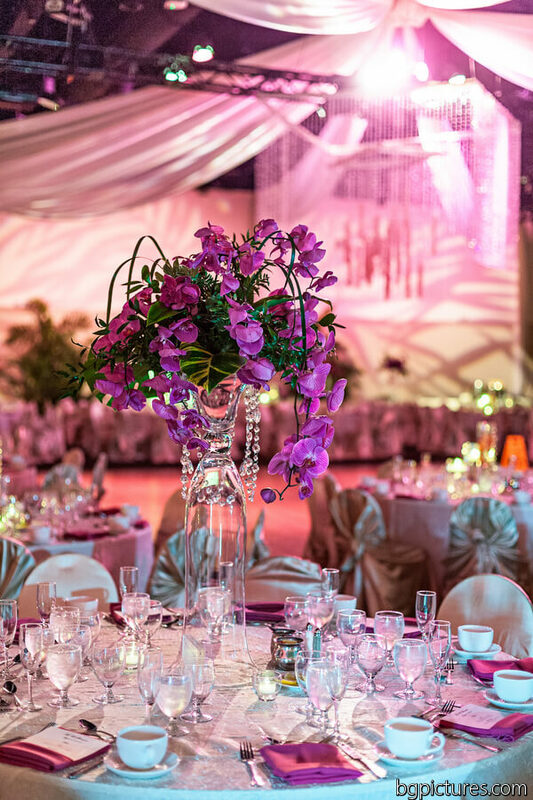 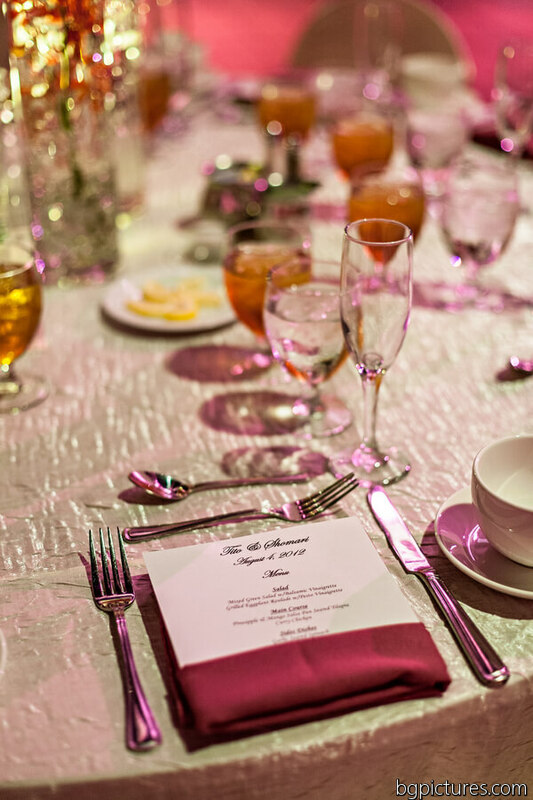 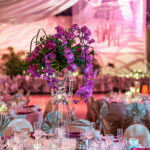 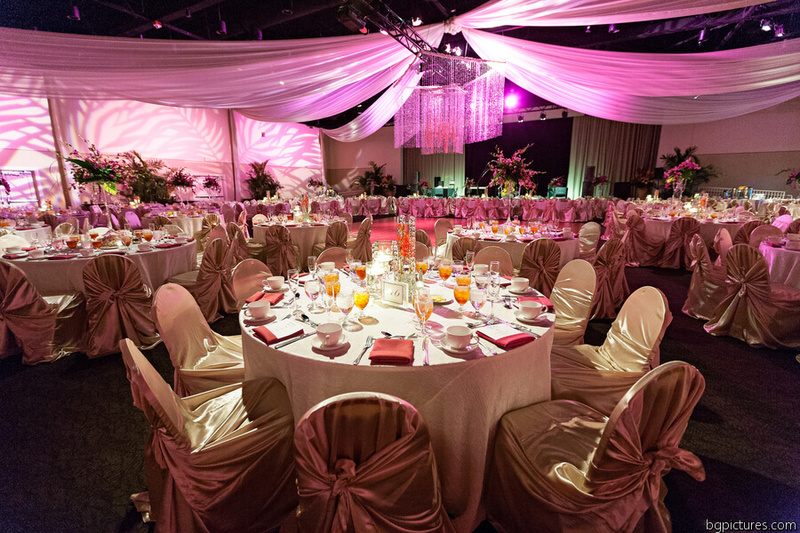 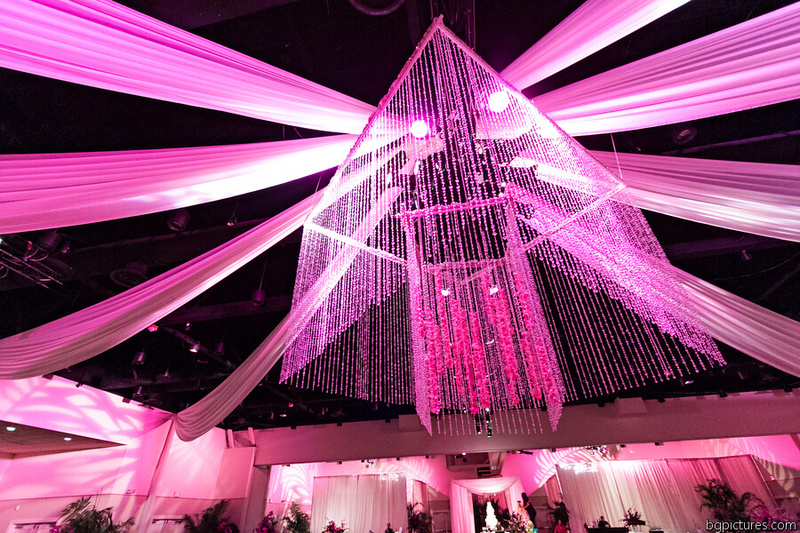 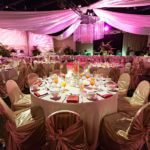 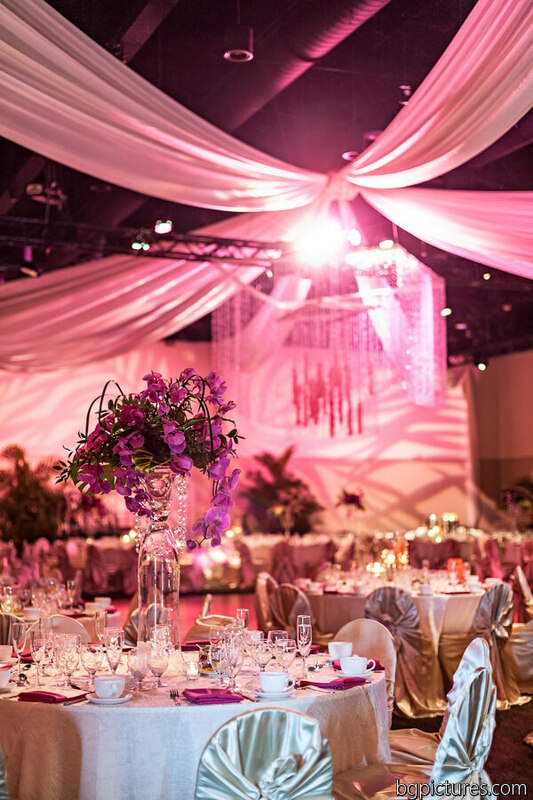 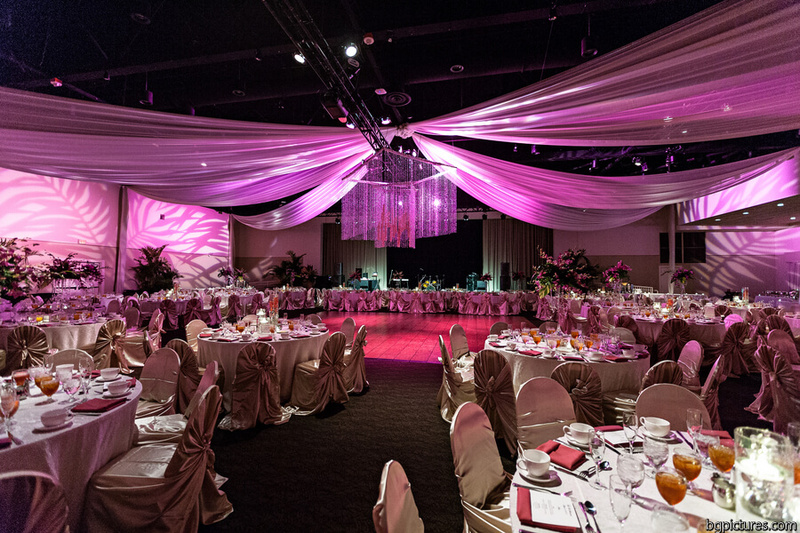 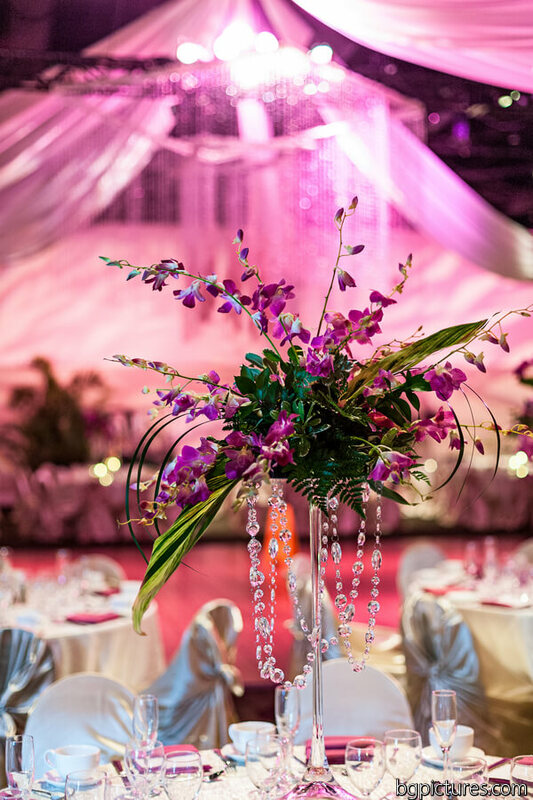 The reception was decorated from a crystal chandelier with orchids over the dance floor to various styles of centerpieces on ivory draped linens with menu folded fuschia napkins with menus tucked inside to dazzle them with the food being served to cover both cultures. 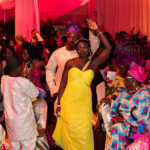 With a live Nigerian Band, Dj and lots of money being tossed on the dance floor it was definitely a night to remember..